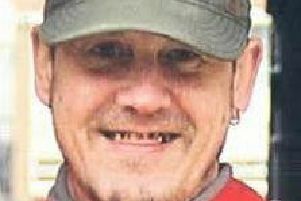 A man who died off the Scarborough coast on Monday has been named. Darren Morley, of Scarborough, was a member of the crew on a fishing boat but went overboard into the sea on Monday November 6. North Yorkshire Police were contacted by HM Coastguard at 12.23pm after they were called to assist a fishing boat off the coast of Scarborough. The 41-year-old was rescued from the water and received medical assistance at the scene before being flown to James Cook University Hospital in Middlesbrough where he was sadly pronounced dead. A spokesperson for the force said: "Officers investigating the circumstances surrounding the incident on Monday, in which Mr Morley sadly lost his life, believe there are not any suspicious circumstances surrounding the death. "Police are preparing a report for the coroner." The Marine Accident Investigation Branch is leading the investigation with support from North Yorkshire Police. Speaking to The Scarborough News, friend Chris Townsend, manager of TG Wood Fish Preparation and Wholesale who knew Darren, said: “Everyone in the harbour is in shock. “He was good lad and everyone liked him."